Sometimes it’s the little things that make the biggest difference. 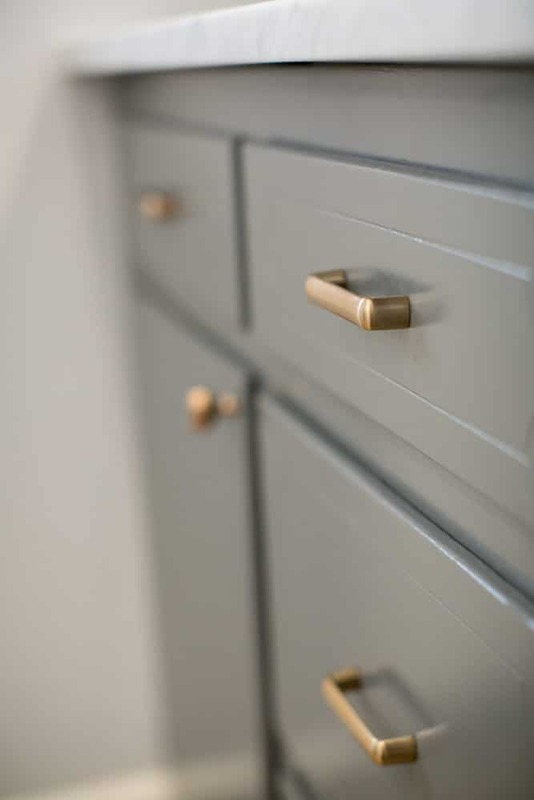 Hardware is the smallest part of any piece of furniture, but it often gets noticed first. The right hardware can transform a plain nightstand to a nautical themed piece or upgrade a basic kitchen cabinet to a modern renovation. One of the most common problem with changing the hardware on older pieces is when drawer holes don’t fit standard pulls. While it takes a little effort, you can easily move or resize hardware holes and still pull of a professional finish. 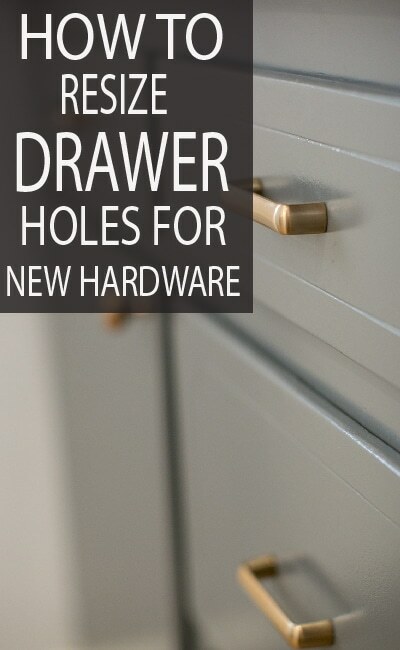 After you’ve removed all of the old hardware, use a wood filler to fill the entire hole. I’m pretty sure wood filler was manufactured for this exact purpose because usually the nozzle fits perfectly into the hole so you and simply squeeze and lift out. Use a putty knife or scraper to smooth the filler out and remove excess. * If you’re planning to stain your piece, you want to use wood putty instead of wood filler. Wood filler won’t accept stain the same way it accepts paint. Honestly, this is the hardest part, but the most important. Wood filler needs time to cure and set, which usually takes 24 hours. If you try to move forward too quickly, you’ll pull the un-cured filler right out of the holes and you’re back at square one. Just when you thought you were done, you actually need to repeat the first two steps again. Don’t you hate when that happens? But it’s actually super important. The first time you fill the hole, you create air bubbles, now it’s time to fill those air bubbles to ensure a perfect finish. 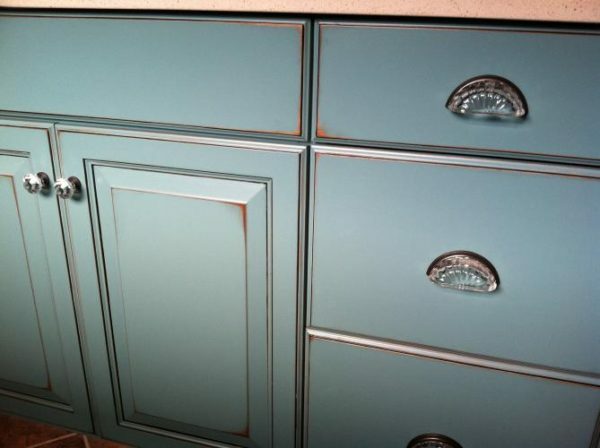 If you skip the repeat, you’ll notice the bubbles, gaps, or dents when you paint. Once the second filler is completely dry (usually 24 hours), sand the area with fine grit until it’s smooth to the touch. There should be no indentation, gaps, or dents that you can see or feel. It should be a perfectly smooth finish. 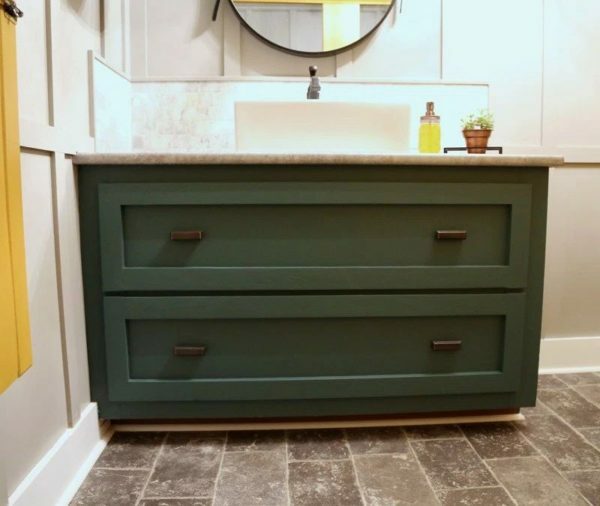 Now you’re ready to finish painting the piece and replace old, ornate pulls with classic knobs for a fresh, uncluttered style. We swear no one will be able to tell that you changed the hardware. Anytime you change the hardware on one piece, save it! You never know when you come across another piece that would look beautiful with those old, ornate pulls.